Our Gum Weld-Nut Pull Plug (GWPP) product line is a pull plug line specifically engineered to tackle the tough requirements of masking off the lead-in chamfer of threaded applications. 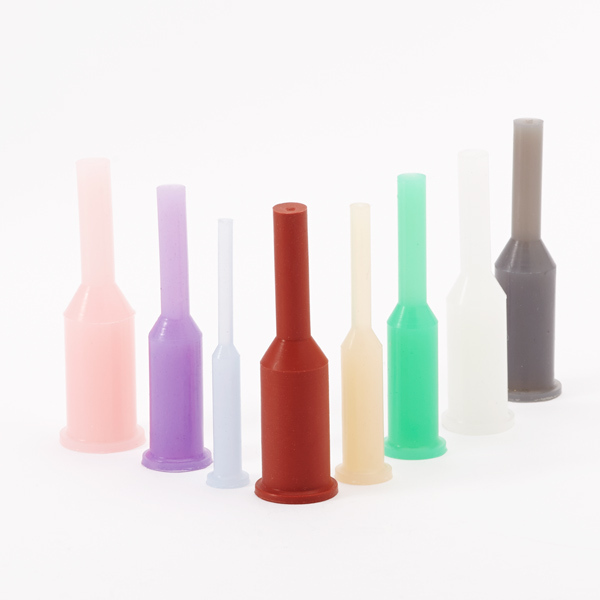 Made of our special formulation of high temperature silicone, Weld-Nut Pull Plugs exhibit remarkable flexibility, while maintaining reusability and reliability during masking. Used to plug weld-nuts during welding. Plug can remain in place for subsequent coating process. Other applications include protecting countersink and leading threads; especially where a tight seal is required. When plugging a hole, make sure that the major diameter of the plug is larger than the diameter of the hole being plugged by at least 10%. Use Gum Weld-Nut Pull Plugs (GWPP) in applications where countersinks or lead-in chamfers are necessary masking areas. Keep in mind any interference issues that will be created by the Pull-Tab being completely exposed after plug is inserted.